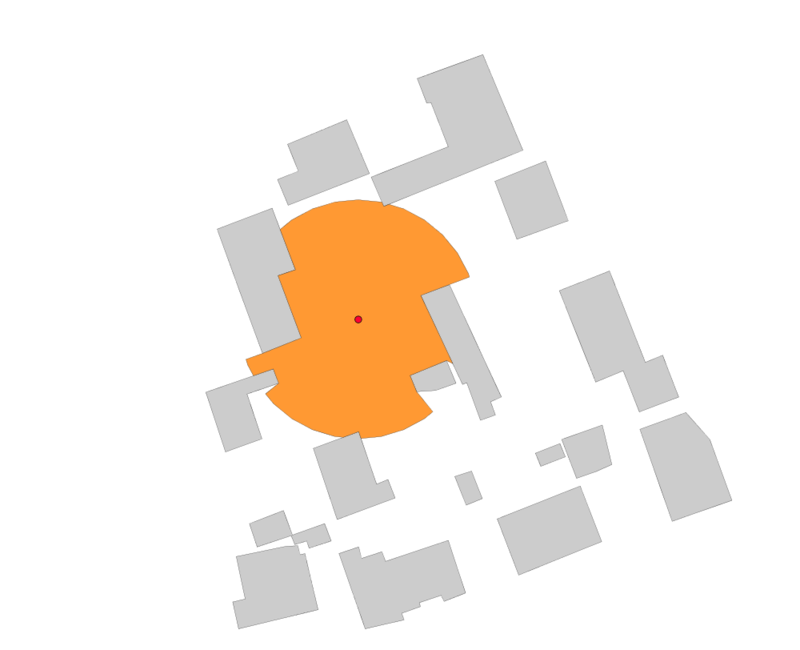 This function compute the visibility polygon obstructed by provided obstacles. Obstacles can be LINESTRING(S) ,POLYGON(S) or GEOMETRYCOLLECTION(S). 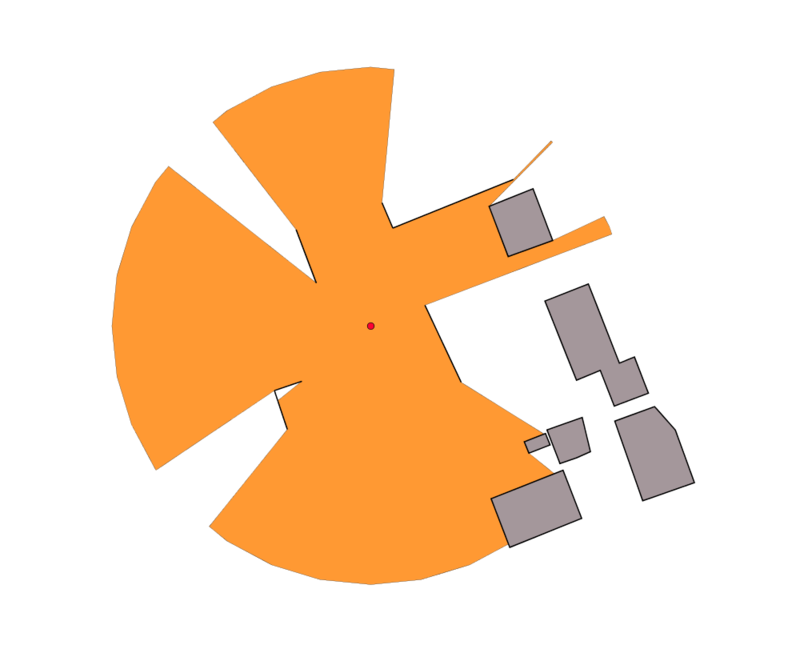 Resulting polygon will be enclosed by a circle defined by the maximum distance (maxDistance) parameter. 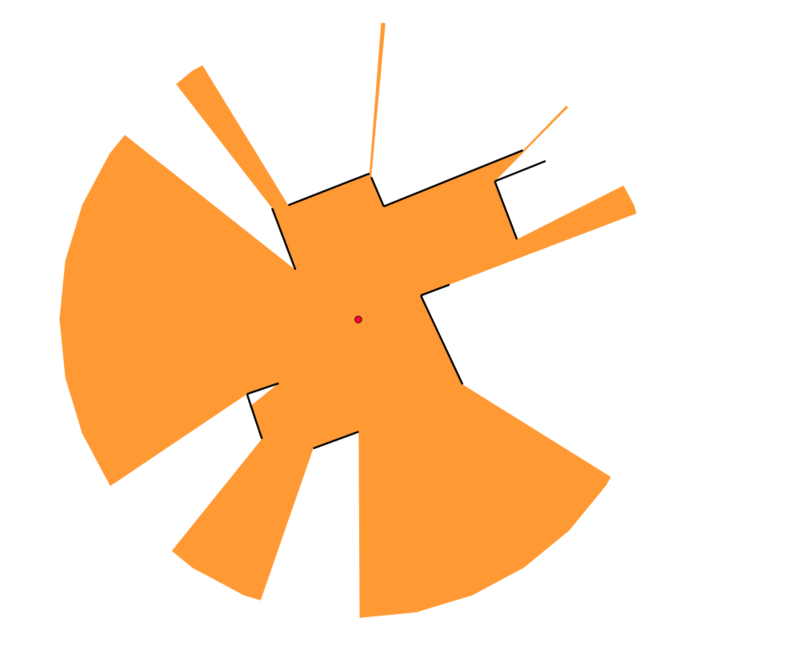 angleStop : Ending angle from which visibility will be calculated (exprimed in radian). 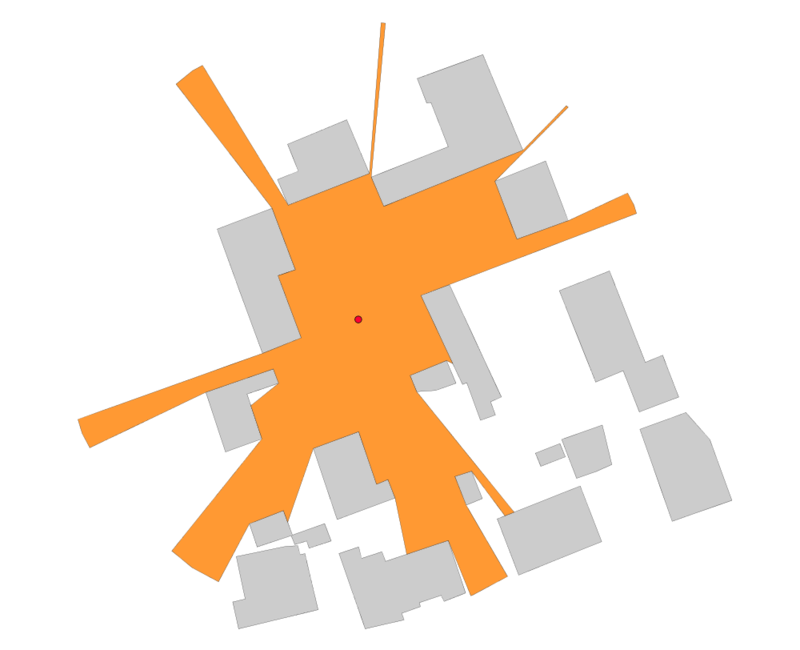 Use buildings (polygon) to compute the visibility from the point with a distance of 20m. Same but with a distance of 50m. 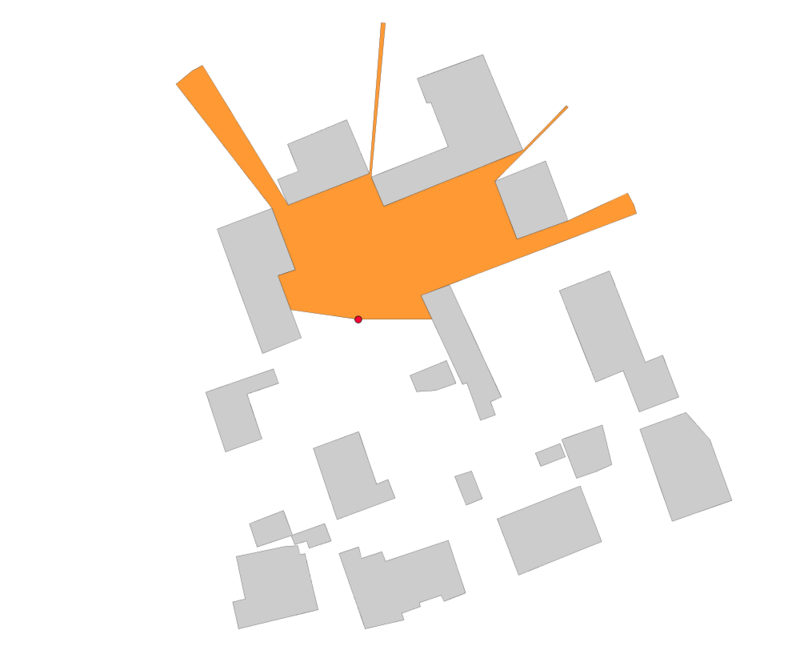 Use walls (linestring) to compute the visibility from the point with a distance of 50m. Compute the visibility using buildings (poygon layer) with a distance of 50m, starting at 0 rad and ending at 3 rad. Same, but ending at 5 rad. Compute visibilities in the city center of Vannes (France), every 10m, with a 100m maximum distance of visibility and export results into an animated .gif file. Cool isn’t it? 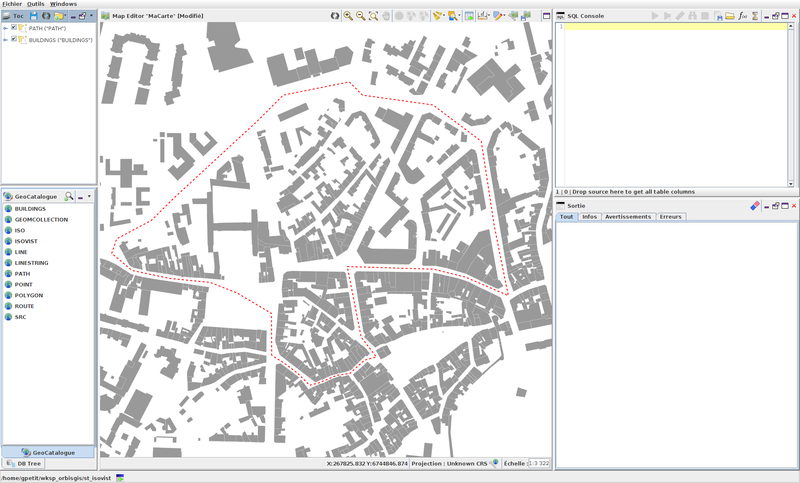 Thanks to H2GIS, OrbisGIS, Groovy and The Gimp (all free and open-source) you will see that it’s quite easy to reproduce. How to produce this animation? path : a linestring. If you want to do a loop (like in the .gif), your linestring has to be closed (red in the gif). In the SQL Console, execute the following script. 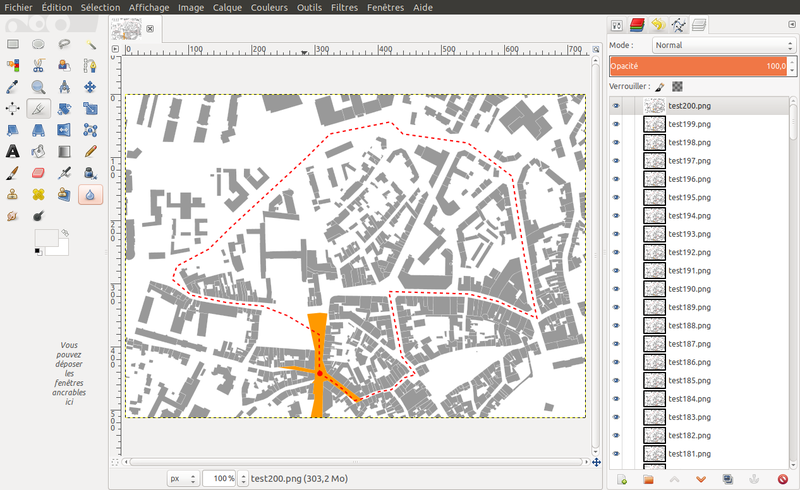 Where ST_IsoVist(a.the_geom, ST_Accum(b.the_geom), 100) → 100 is the maxDistance value used in this example. 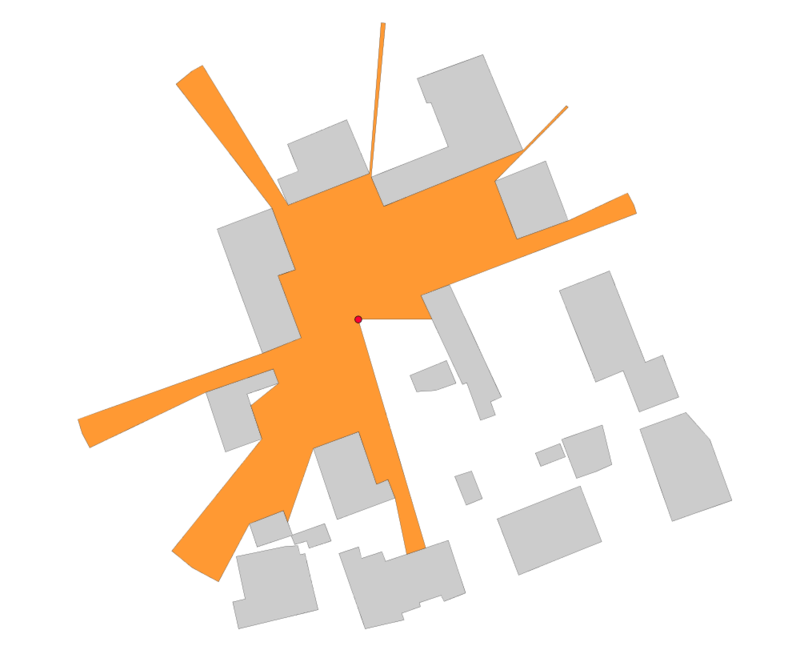 the ISOVist (iso layer) from the first point. Once executed, load src and iso layers into the TOC and adapt their styles to fit to your needs (here red point and orange polygon). In the OrbisGIS’s Groovy Console, execute the script presented below. for each point, compute the visibility and export the map into a .png file. /myUrl/+"test"+i+".png" → .png files, prefixed by test; will be saved into a folder defined by /myUrl/. src and iso are respectively the output table names for the point where the visibility is calculated and the resulting visibility polygon. Once the script ran, you obtain many .png files (in this example we have 200 files). Your animated .gif file is produced !